The resources featured on this page accompany the More Light Teach-In Series. We have grouped the resources by teach-in session. Whether you are catching up on one you missed, or digging deeper into the material, we hope you find what you need to keep learning. If you need additional resources, be sure to check out our resource library. Check out the power point slides for a snapshot of the Teach-In. Click on the image to view or download the presentation. What we learned: Part 1 offered a review of language and terminology, adolescent development for LGBTQ youth, an overview of the current landscape for LGBTQ youth (including risk factors and suicidal ideation), and an introduction to what LGBTQ youth need to feel supported in the church and ways congregations can be proactive in their ministry for LGBTQ youth. What we learned: How our congregations can be places of welcome for transgender and gender non-binary folks. The starting point for that journey is learning how to discuss the nuances of gender identity and sexual orientation in order to provide a strong foundation of welcome. 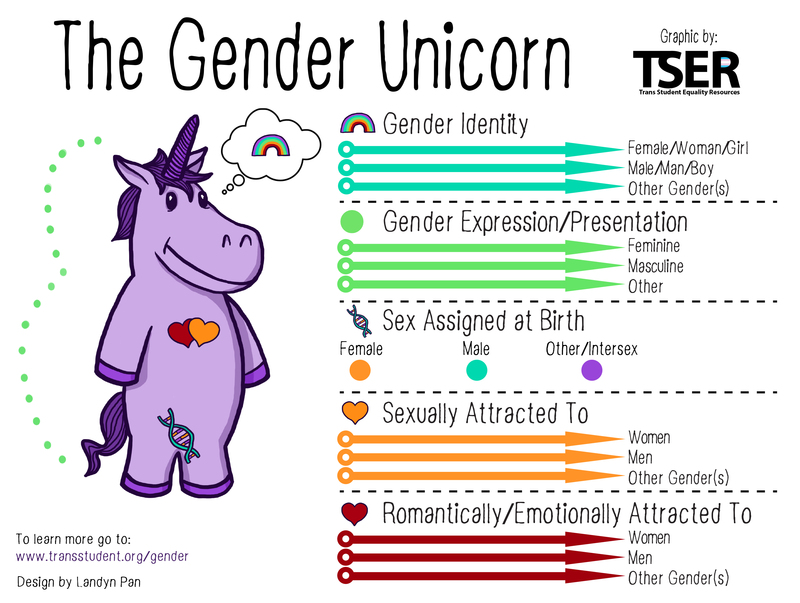 This teach-in gives participants a vocabulary for welcome and offers fresh ways to discuss gender identity and sexual orientation that look for commonalities rather than categories. Click on the image to view or download the slides for the presentation. What we learned: In this training, we dove into the rich Biblical foundation for trans inclusion and explored how churches have successfully made worship more welcoming. We shared tools and tactics to make their church spaces more intentionally inclusive of trans identities. Click on the image to view or download the slides for the presentation. What we learned: This training surveys what opportunities for action the current legislative landscape offers faith-led advocates. Beyond national and state-level action, participants will also learn how to implement proactive policies and programs in their home churches. Click on the image to view or download the slides for the presentation. What we learned: Too often we talk in terms of interpersonal kindness or rudeness when we discuss racism. This session will made the distinction between structural racism and interpersonal conflicts related to race. We also learned a common vocabulary for talking about racism and developing a shared understand of what Racism is and how Racial Justice can counter it. Check out the power point slides from the first session for a snapshot of the Teach-In on racism and racial justice. Click on the image to view or download the presentation. If you are interested in additional training opportunities with Jessica Vazquez Torres, connect with Crossroads Anti-Racism Organizing and Training. What we learned: We explored the meaning and impact of white privilege and internalized dominance. The next step on a path towards racial justice is to recognize how internalized dominance, as white people and as people of color, impacts community-building and relationships. Check out the power point slides from the second session for a snapshot of the Teach-In on white privilege and internalized dominance. Click on the image to view or download the presentation. Click on the notebook to download a zip file of additional resources used in the presentation, including articles on White Fragility, Implicit Bias, Unpacking the Invisible Backpack, and more. These are very helpful for further learning about white privilege and it’s impacts across interpersonal and systemic relationships. What we learned: Making choices to dismantle racism in our schools, congregations, workplaces, and communities takes skill. The teach-in will explored strategies and tools for working together to integrate racial justice measures into our ministries. The teach-in was facilitated by two pastors who have helped lead their congregations in taking action for racial justice. Check out the power point slides from the third session for a snapshot of the Teach-In on taking action for racial justice. Click on the image to view or download the presentation.